•	How do we craft the best possible result? Answer: Customize to you! Best, most memorable images often stay true to your authentic self. 1-1 Consultation will provide a perspective on you or your group’s unique story and intentional use. I will help you select locations, outfits and color schemes, ideas that put you in an environment to meaningfully reflect who you are or candidly capture your special moment. Come rested and relaxed and let me take care of the rest. •	Are these indoor and outdoor? All are outdoor settings which offer a wider variety of ‘feel’ and story to the images. Some customized indoor exceptions for ‘Day in the Life’ portfolio or special events, dependent on project plan. •	What makes the best, lasting images? Articulate your story. Make it as different and unique as you! Celebrate! If you are reading this, chances are something intangible about my style resonated with you. Often it relates to creative backdrop and energy that allows dynamics to artfully transcend images, whether subtly or extravagantly. I encourage clients to spend time collecting ideas that resonate; whether a landscape, piece of art, magazine ad, pinterest or just considering what makes you/your group distinct. Don’t be afraid to add in the horse, vintage truck, guitar, classic car, holiday wreath, poms, football, baseball bats…etc. Your time is often better spent here than choosing that perfect outfit or hairstyle! •	What can I expect the day of the shoot? A professional, relaxed and fun experience. Feel uncomfortable in front of a camera? No worries. We make it fun, no stress, enjoyable and guide you along the way. Your final images will emote fond memories of the moment it was taken. •	What is the process? Initial consultation will map the plan. Blending action photography and portrait artistry, many pics taken with the best of the best culled for your review.Your professionally edited proofs will be available in 3 weeks (or less). Create your own package based on your budget and intended impact from hundreds of products. Tap into my expertise to help select that perfect display option from a wide variety of samples. •	What do I get and what can I expect to pay? There are no hidden costs or ‘gotchas’. Session fee and deposit due time of booking. Be prepared...often clients are overwhelmed with the variety of images to choose from, finding more than one memory-banked image for the wall, and another for a resume/business cards, invite, social media or greeting cards. Still, You Are In Control! No pre-defined packages. Design your package based on your budget and needs. And YES, Digital packages available! Please inquire for product and digital package pricing. •	What clothes should I wear? Depends on what you want to convey! Chances are, choosing something you love to wear is probably what looks beautiful/handsome on you already! For outfit changes, find a spectrum of casual to dressy. Perhaps choose timeless fashion (i.e. giant shoulder pads were cool in the 80's but...). However, if you want to rock the red dress in the warehouse district--Go For It! One caution- stay away from white, especially in groups. For groups, the jeans/same color neutral tops (matchy-matchy) were traditional for family settings but don’t be afraid to mix it up with subtle patterns/solids, casual dress, boots, hats, scarves and if a chill in the air--add layering for more interest! I recommend staying within a color/pattern palette that showcases your face and sense of style to provide continuity. Guys, the deeper hues of fall are terrific this time of year (burnt orange, burgundy, deep blues/green…) and dark jeans or pants work great. Need help? Just ask! •	How many outfits can I change into? Depends on the package . Just be sure you can make a quick change. I suggest a spectrum; dressy to casual to sport or activity specific. •	What should I bring on my big day? A fresh smile! Pack a bag with brushes, lip balm (you will be smiling alot! ), lettermen jackets/accessory/outfit changes, fun props, perhaps a Christmas wreath, and let us do the rest. •	Can you do traditional posed shots? Yes. Expect a variety of traditional posed to candid. I find the best images can be unexpected when all are relaxed moving around.Let the baby explore the cricket, even taste test the mud. Be spontaneous. •	What are “Life Shots”? My graduating Senior said it best, “Mom, the ‘Chronicle of my Life’ scrapbook (baby to adult) is for you. The Day in the Life, ‘Life Shot’ book is for me.” Simply put, he wanted to candidly capture his passion of motocross, football, family, friends by relating who he is today, at this moment in time. That is my specialty. Whether under Friday Night Lights in Texas, running a ranch, competing on the Equestrian Show-jumping Circuit or Junior World Series Baseball Team or that unforgettable trip to Africa, Paris or Machu Picchu, I can storybook your moment with engaging images to capture the energy …all bound in a hard-cover coffee table book. Please inquire for more info. How often do we collect prints or digital images that end up in the well-intentioned corner of our hard drive? 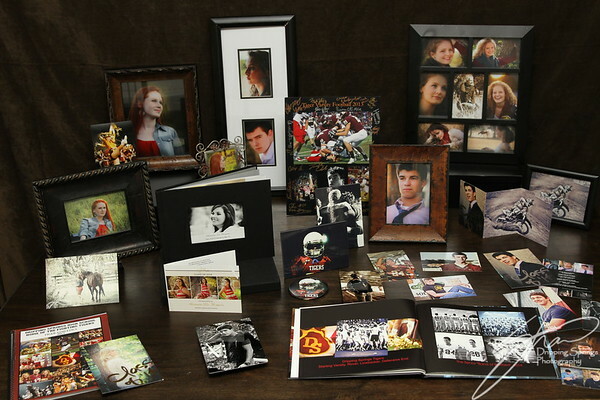 Photobooks are the digital age version of scrapbooking those special images. Make your own or allow me to do one for you. Great graduation or Christmas gifts! •	Can I hire you for special events or fully customized shoots? • Do you shoot headshots? Yes!- $250 includes 10 digitals/1hr. Yes! Whether for a business card or social media, modeling or theatre productions. Please inquire. Professional hair and make-up also available.